Detailed info on non-retail PS3 Models and their naming, based on the SKU (stock-keeping unit) string/number. These units were given to developers until the DEH-R10xx series was available, with the exception of the CEB-202x. They feature either one or two standard ATX PSUs and optional a HDD/Optical Drive for internal use. There's no support for a Cardreader, Wifi, Bluetooth or PS2 Emulation. All units do have one Gb-LAN port, either two or four USB ports and one or two serial ports. All models since at least the CEB-203x do use the CXR713F120A Syscon. CEB-1000 ~ 2004 Shreck ? 2.4GHz DD1.2 256MB DX1.0 ? 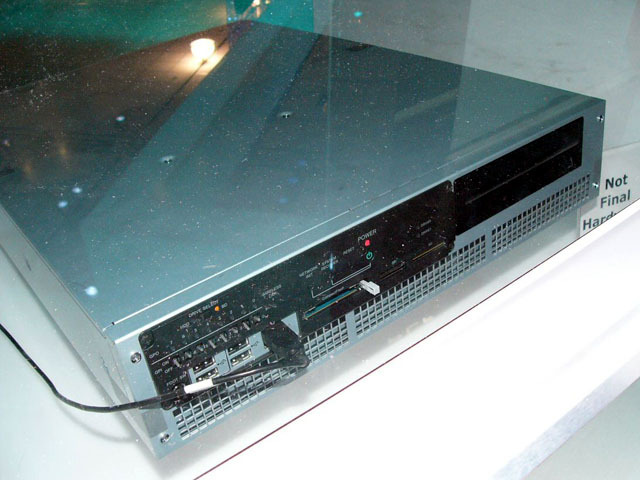 NV45GL "Quadro FX 3400"
CEB-1020 ~ 2005 ? 512MB ? NV40 "GeForce 6800 Ultra"
CEB-202x June, 2005 ? ?256MB? NV47 "GeForce 7800 GTX"
CEB-203x July, 2005 MPU-501 512MB NV47 "Quadro FX 4500"
Note: The serial ports are used for the South Bridge and Syscon UART. 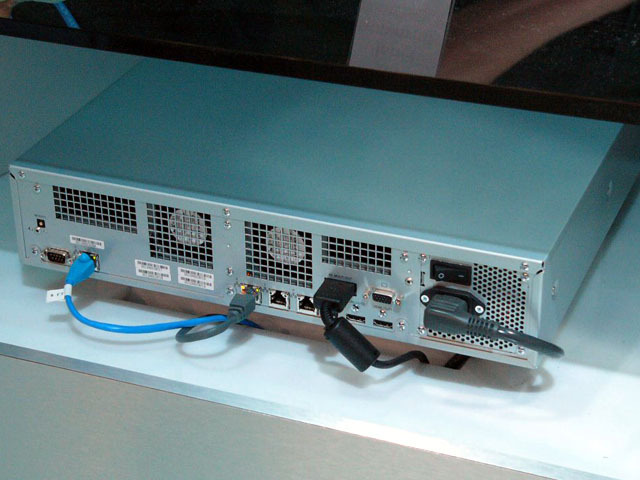 These models are succeeded by the DECR-1000 and do share a similar case, I/O ports and functionality with it. Like the DECR-1000, these do all use the CXR713F120A Syscon. First units to support the optional, internal PS2 Emulation subsystem. 301R 084.001 First unit with a slot loaded drive, Wifi controller and BD EMU HDD. With a pre ?0.93? bootrom you do have two HDMI outputs. Not all DECR-1000 are equal! Despite Sony's documentation claiming otherwise, DECR-1000 units with RSX rom version b07 and above such as refurbished/serviced units (and perhaps some others that have not been encounter) are not capable of running any firmware lower than 1.60 (from sdk 160.008) this is because the rom version is unknown/unsupported in older lv1 which will fail to initialize the RSX hardware and will cause lv1 to output a "rsx rom abort!" message, this will in turn create an exception early in lv2 boot process as it tries to use the RSX and creates a hard brick several RSX related errors such as "lv2(2): # __rsxaudio_intr_create_thread 983 ffffffff" or "graphics error 512 : 00012625 c221bbb0" ; "lv2(2): page fault handler (DSI): invalid access address 0x795d00e8!". Supports OtherOS until firmware 320.001.
for RSX: Signal Trace, User Events. DECI3 is limited to one protocol and a data exchange size of 65535 bytes. The two GbLAN´s share the same MAC ID and cannot be used in the same network segment. Gb-DEVLAN is connected to South Bridge. Debugging Stations and AV Testing Tools have the same hardware as retail units, the only thing's that differ are the HDMI encoder IC and the Blu-ray drive configuration. Arcade units are additional missing the Wifi/BT subsystem and Blu-ray drive, are housed in a big clunky square box and do have Jamma (JVS) I/O. The minimal downgradable praxis is the same like on retail units, but differs due to available firmwares for the specific target (earlier or later). The debug specific menu and non retail features can be seen on the Dex Options page. ↑ A 'S' suffix can be attached to the second part of the SKU number to indicate the unit is specifically for trade shows. E.g. DECH-2500AS. There won't be a TEST logo on top to visually resemble a retail unit. It is however, functionality wise still a debug unit. ↑ Quote from http://www.scedev.net/blu-ray/: The PlayStation 3 AV Testing Tool hardware is available for companies to purchase to test BD movie discs on PS3 before replication and development for advanced features on the Blu-ray Disc format. DEH-H1001-D June, 2006 COOKIE-13 DECHA00A DEH-H1000A-D, "This sample is equivalent to mass-produced items"
DEH-BH1100A(Z)-B 2007 ? DECHC00A ? This page was last modified on 25 February 2019, at 16:48.